Part of a series by students of the University of Arizona School of Journalism’s study abroad program in Costa Rica. PLAYA OSTIONAL, Guanacaste – Gallo pinto, casados, and corn tamales are some of the most common dishes served in Costa Rica. 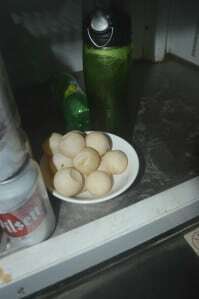 But there’s another food in which many Ticos also indulge: sea turtle eggs. “Here in the Guanacaste area many people prepare turtle eggs in many different ways, from turtle egg omelets to drinking turtle eggs with whiskey,” said Tomás Chavarría, a longtime resident of Playa Ostional, and a leading member of the Asociación de Desarrollo Integral de Ostional, or ADIO. Legally harvested turtle eggs can be found in this small beach town on the Pacific coast. At the recently reopened Las Brisas del Pacífico, bar customers can have a beer and chase it with a turtle egg shot. “The eggs we have here are sold year-round and are always refrigerated,” said bar owner Álvaro Sandoval. Locals say the most popular kind of turtle egg consumption is in its raw form. Customers at Las Brisas can buy a single egg for ₡300 – less than a dollar – or get a complimentary egg along with the purchase of a beer. Bartenders prepare what is called a sangrita shot, which customers drink like an alcoholic beverage. At this bar, the sangritas include tomato juice, pepper, lemon juice, salt, chile panameño and a splash of orange juice. The egg is then poured into the shot glass filled with sangrita just before it’s ready to be consumed. Swallowed rather than chewed more aptly describes how it is consumed. 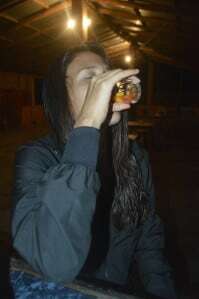 “I didn’t get to taste the egg much, the drink was a bit spicy, but delicious. The only time I felt the egg was when it went down my throat,” said San José resident María José Sevilla, who tried her first turtle egg shot at Las Brisas del Pacífico while we watched. This legal turtle egg eating phenomenon began in the 1980s, when the town of Ostional legalized the regulated collection of sea turtle eggs. The Costa Rican Environment (MINAE) helped the local town legally harvest the eggs. Egg harvesting happens within the first 36 hours of an arribada, the arrival of sea turtles by the masses. Once collected the eggs are given to families in the town, and also sold to businesses for distribution around Costa Rica. To sell or distribute them, vendors must have permits from MINAE. According to conservation biologist Hellen Lobo, the purpose of turtle egg harvests are to protect the threatened olive ridley sea turtles (Lepidochelys olivacea), and to help the local economy. The legal market for Ostional eggs, however, has its critics. Opponents of the trade question whether the practice actually helps save endangered turtle populations. Worse, illegal sea turtle eggs often are found in markets and bars across the country, with vendors falsely claiming they came from Ostional. That, say conservationists, benefits only poachers. Outside of Ostional, some Ticos don’t know that there’s a place where turtle egg harvesting is legal. “I always thought of turtle consumption as illegal, I was unaware that egg harvesting was legalized in Ostional,” said San José resident Johel Solano. 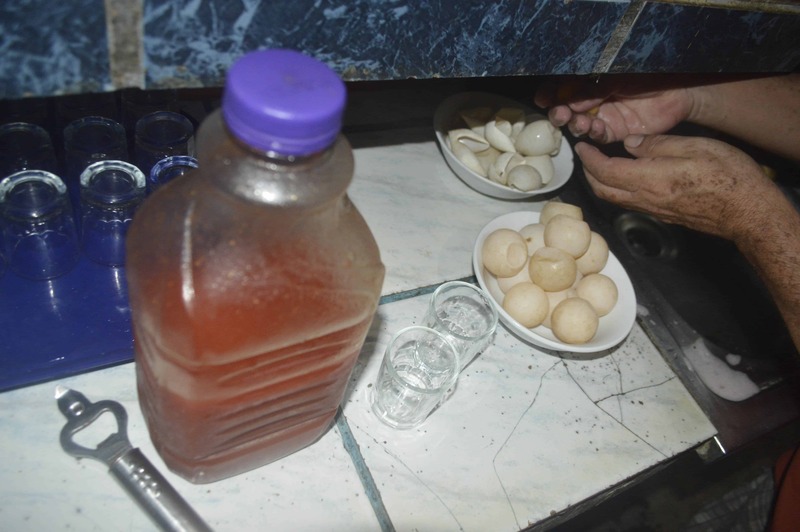 Consumption of turtle eggs is also popular among some men who believe in its alleged aphrodisiacal qualities. Biologists, however, say that’s a myth. For others it’s a matter of curiosity, and perhaps taste. Jesús Barrera is an undergrad student at the University of Arizona. He can be reached at jesusbarrera@email.arizona.edu.